A wide variety of orchids offered for sale by popular members of the orchid community – Even and Alan Howes. Every Saturday, we bring the best selection of “just blooming” orchids – including Phalaenopsis, Paphiopedliums, Vandas, Cattleyas, Oncidiums, Dendrodiums and more. Orchid supplies are also available to include a large selection of orchid pots. Information supplied on basic care and growing tips. Some of the orchids are recognized by their delightful fragrances while others are noted by trademarks to include wonderful blooms and strong plant material. Delighting our customers for the past 10 years and recently opened our sister store – Awesome Orchids, Plants, Pots & More. 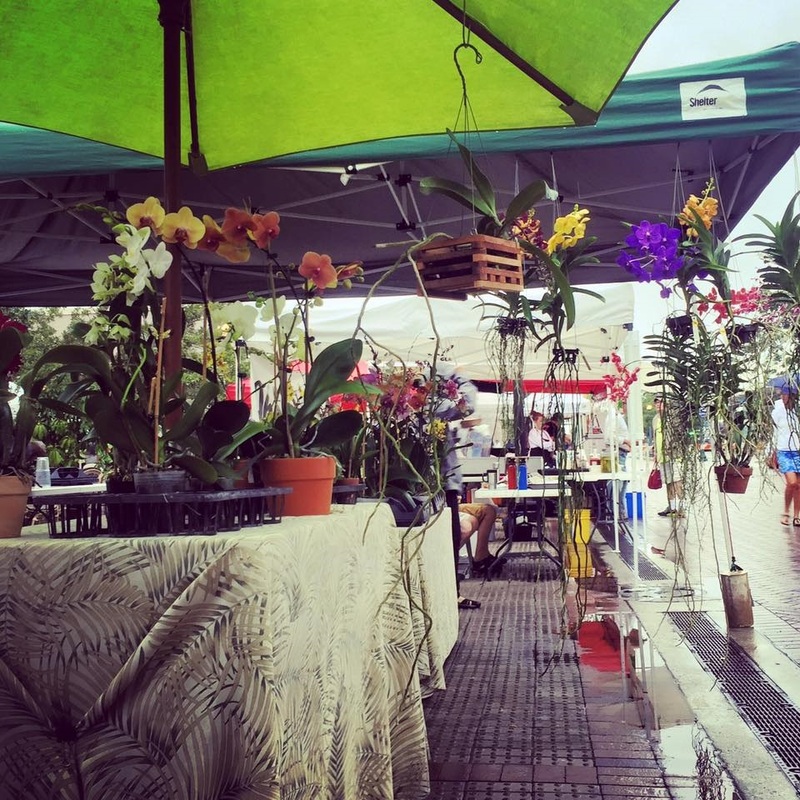 Our Downtown Farmers Market Location: Find us under our big green umbrellas. We’re on Lemon Avenue, just north of Main Street in Downtown Sarasota, FL.